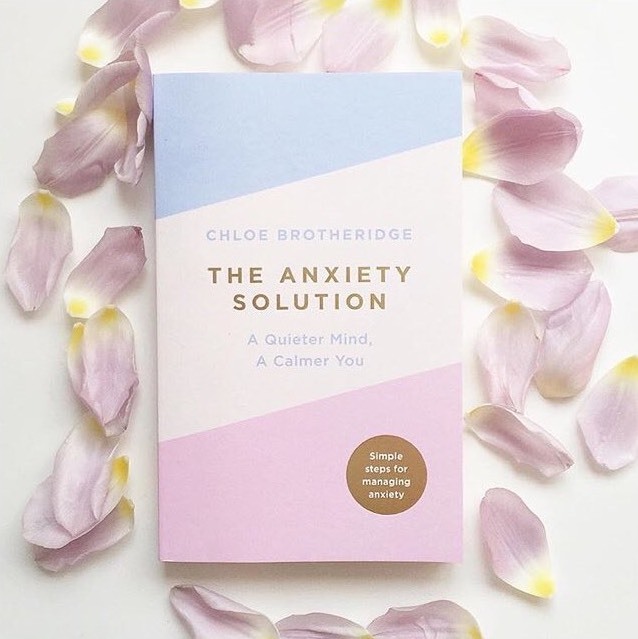 Over the last few months, Founder of DPM Danielle Peazer has been visiting Chloe Brotheridge, a hypnotherapist, anxiety expert and author of The Anxiety Solution: a Quieter Mind, a Calmer You, to help tackle several issues she felt were holding her back. Throughout these sessions Danielle found it so beneficial that she wanted to share some of Chloe’s work on this site and direct anyone who may feel they have anxiety or self confidence issues in her direction. Worrying what others think of you isn’t necessarily a bad thing in moderation. As a result, it can make us kinder and more sensitive to how other people think. It also makes us more likely to avoid repeating mistakes due to embarrassment or shame. Trouble is, most of us are worrying too much about how we come across to other people. To the point that it is a type of anxiety in itself. Are you spending a lot of time worrying about what other people think of you? Consequently, do you find that this anxiety stops you from doing things because you’re scared of how it will look? According to studies, these fears are misguided. We assume that other people spend far more time passing judgment on us than they actually do. And, we overestimate how negative their perceptions are when they do think of us. This should make it much easier to stop worrying about what other people think of us. In reality, it can be a tough one to overcome. Today, I’m sharing some tips to help you to spend less time and energy on worrying what other people think of you. Why do we worry about what other people think of us? As humans, we are social by nature and how we are seen by others is a part of how we identify. The need to fit in and connect is one of six basic human needs, according to research by Tony Robbins and Cloe Madanes. It may be natural but that doesn’t mean it’s healthy. TinyBuddha warns that it’s a need that can lead to approval anxiety. This ultimately places your happiness and fulfillment in the hands of other people. So it’s a nightmare for those of us who struggle with anxiety. Can we stop worrying what other people think of us? Before you can break free from worrying about what other people may think of you, it’s helpful to know why it matters so much in the first place. A lot is to do with how we have been conditioned. From when we’re young, we are often expected to conform to certain norms. These include relating to being liked and accepted. It’s easy to get caught up in feeling that you have to be a certain way to be liked. With my anxiety, I believed I needed to be ‘perfect’ to be liked. This led to a huge amount of pressure and stress to fit this. Yet I never felt good enough or as though as I was really being me. Realising I had to challenge these beliefs and replace them with more positive alternatives was one of the big turning points in overcoming my anxiety. What we imagine others will think of us can be heavily linked to our own inner critic. This is the niggling little voice in your head. The one that tells us negative things about what you ‘must’ seem like to other people. Most of the time, there’s no actual evidence to back this up. And this is something you’ll find if you challenge your inner critic. If we judge ourselves, it’s no great surprise if we then expect other people to do the same. Knowing what is important to you and the person you want to be helps you to care less about needing external validation. Not everyone will like you, just as you don’t like everyone you meet either. This is largely to do with their perceptions of you, which often aren’t anything to do with you and say a lot more about the other person. You can’t control the way other people react to you, no matter how hard you try or how good your intentions towards them may be. This study found that there is a strong link between how people see themselves and how they see others, especially when it comes to acceptance. We all know people who seem to delight in bringing others down. Far from being a reflection of how accepting they are of you, try looking at it as a sign of how accepting they are of themselves. Accepting the fact that you have no control over how other people think of you gives you a lot more freedom to focus your attention elsewhere. It also helps to break the idea that if you conform to certain ideas, you’ll automatically come across well to other people. Worrying about how other people may react to you can hold you back and stop you making changes in your life. If you have been holding off on this for fear of what you’ll look like to other people, a new outlook can pave the way for you to start making these changes. If you can learn to accept yourself and recognise your self-worth, it’s a big step towards limiting the importance you attach to having other people validate you. Being comfortable with who you are and knowing that you’re enough is something that is really close to my heart. It won’t happen overnight but for me, it’s one of the best things you can do for yourself. Finally, learning how to stop worrying about what other people think of you can be difficult, especially when it’s something you have done for a long time. It’s definitely possible though. Get a FREE relaxation MP3 when you visit www.calmer-you.com/free.